Sitting cross-legged on the glittering purple and silver pillows around the campfire at Noam Bamidbar Farm in the Negev Desert of Israel, I wait for my Nana (mint) tea made by a genuine Bedouin farmer named Mohammad. As Mohammad spoke about the Negev Desert, I notice Mohammad’s lovely lime green tasseled scarf and tell him I like his scarf as a friendly gesture. Even though he speaks little English, he understands what I said immediately. He calmly stands, walks up to me and hands me his scarf and returns to his tea making – like it’s an everyday occurrence for him to give a stranger the clothing off his back! Flabbergasted by his second nature generosity, I wasn’t sure what to do besides thank him profusely – Toda, Toda (phonetic pronunciation for Thank You in Hebrew). Finally, it came to me what I should do. In a country deeply observant of the Old Testament teachings, why not adopt the eye for an eye principle and twist it on its head – a scarf for a scarf. I timidly gave him my rather girly pink and purple scarf and hoped he would like it as much I liked my new campfire-camel scented scarf. He accepted it with a humble grin on his face and a slight nod of acknowledgment. It was an incredible moment of human connection – yet another reason why travel enriches my soul. 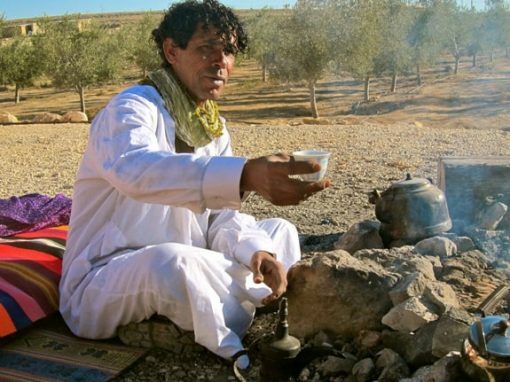 As we sipped the traditional Bedouin tea while nibbling on tasty homemade pastries, Mohammad explained the organic produce they farmed in the seemingly barren Negev Desert – pomegranates, oranges, olives and grapes for wine making. I brought a bottle of their Cabernet Sauvignon home. The flavor profile compared to a wine from California’s Temecula Valley – another spot with vineyards grown in an arid climate. Once tea time commenced, I sauntered over to the camels – saddled and ready in all their regalia. Maybe it was early for them, or maybe it’s just a camel thing, but they bellowed a sound when I got on like I’d never heard an animal make. The mount is simple as they rest on the ground like a cat enjoying the morning sun. Hoist a leg and straddle. Listen to camel profanities. But when the camel gets up, hold on as it’s nothing like a horse. They dip down (as do you) before they come to standing. Whoa Nellie! After the initial scary ascent, the ride is a peaceful, slow saunter. The short thirty minute camel ride was a great introduction to Bedouin survival skills. Mohammad explained how to use the morning dew on the plants for drinking water. After dismounting the belligerent but adorable camel, Mohammad demonstrated how to make soap out of what looked like desert weeds. Sure enough, with a little water and elbow grease, the sage colored plant started to lather! The Bedouins, from thousands of years of experience, know how to maximize the desert terrain to their advantage. At Noam Bamidbar (Bamidbar is the Hebrew word for ‘In the Desert‘) Farm, owners Iris & Benny work with Mohammad to offer an insider’s view into the Bedouin lifestyle and unique desert ecosystem they mastered in order to survive its harsh conditions. They speak little English, but the hospitality felt needs no translation. Many of their staff do speak English, so not to fret. 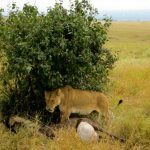 For the full nomadic experience, appropriate for children as well, the Desert Trek package is the way to go. For 1000 shekels a day (roughly 1 USD = 3.8 Shekels), Mohammad and his team will pack all the supplies to camp overnight in the desert. 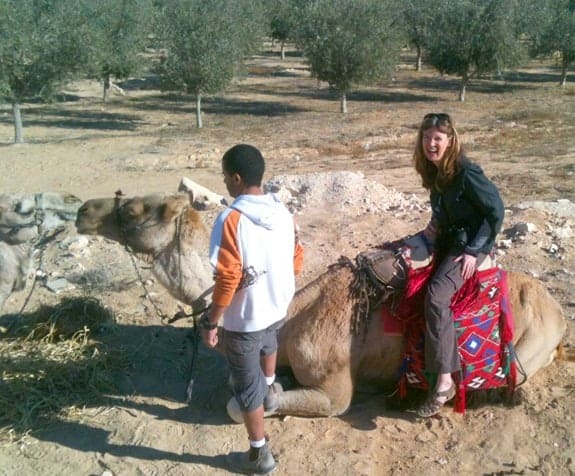 Spend the day riding camels, exploring Negev Desert fauna and breathtaking landscapes. When it’s time to set up camp, the tents are pitched, campfire lit and storytelling and live music begins under the clear, starry sky. A traditional Bedouin meal is served, such as magluba – a mixture of chicken, rice, vegetables, and potatoes. In the morning, a traditional Israeli breakfast of cheese, salads and omelets will sustain you for the return camel trek. Noam Bamidbar Farm also offers farm stays in the ornate orange and fuchsia colored communal tent called a Khan. They provide heaters, floor pads and a full home cooked Israeli breakfast with traditional tea and spiced coffee for 120 Shekels ($30 USD) per adult, $25 per child. If you only have time for tea, a thirty minute camel ride and a potential fashion accessory swap like I did, it is 50 Shekels ($15 USD) per person. To book a day in the life of a Bedouin nomad with Noam Bamidbar Farm, unless you speak Hebrew as their website is only in Hebrew, best to ask your hotel, tour guide (Adam Sela specializes in Negev Desert tourism) or a local travel agent to arrange it. When I return, I will certainly stay longer for more “Bedouins do it better” lessons to live by. The Bedouins can be loosely compared to the Native Americans. Like the Native Americans, they pursued a nomadic lifestyle in the Negev and Sinai deserts of the Middle East for more than 7,000 years. Today, many of the 160,000 Israeli Bedouins are semi-nomadic farmers or live in permanent urban settlements. Riding a camel to the Negev Desert isn’t possible so the next best thing is Israel’s national airline, El Al Airlines. El AL has direct flights to Tel-Aviv from New York City, Los Angeles and Toronto. From Tel-Aviv to Noam Bamidbar Farm, it’s about an hour and a half drive south on well marked highways. Israel is the size of New Jersey, so it doesn’t take long to get places. Avis, Budget and Hertz rent cars from Ben Gurion International Airport, 24/7 on the first floor of the Eastern Gallery in the Greeters Hall. 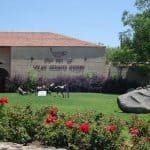 If you’d rather leave the driving to a local, you can arrange a private “Rehev Eshkol” car and an official Israeli tour guide endorsed by the Israeli Ministry of Tourism. I’d recommend requesting Tour Guide Ofir Jacobson; his in depth knowledge of Israel’s history, archeology and culture will blow you away. 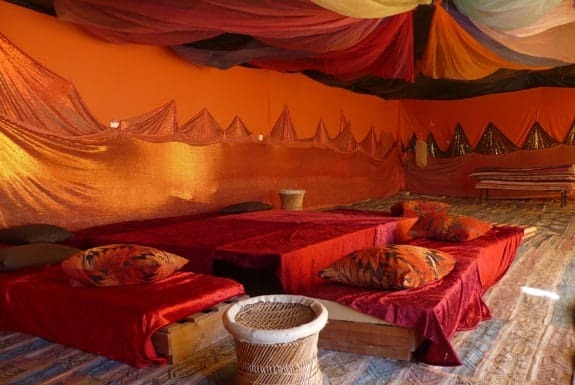 After camping like a Bedouin, you may want a little more plush accommodations. 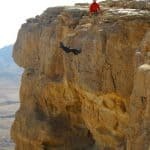 Most hotels are located around the Machtesh Crater in Mitzpe Ramon; here are a few for your consideration. Beresheet Hotel – If you want nothing between you and the crater, Beresheet is pure luxury with outrageous views. Rooms start at $500. Turkish spa avail for non-guests, $10. Chez Eugene Hotel – A hip boutique hotel with a restaurant proudly serving locally grown produce. From $225 – $325 a night. Isrotel Ramon Inn – If you’re not planning to spend much time in your hotel room, this is a decent budget stay with a fine Israeli breakfast buffet. A popular spot for families, so if you don’t like noise, stay clear. From $190 a night. 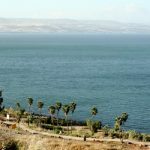 NOTE: This trip was sponsored in part by the Israeli Ministry of Tourism. 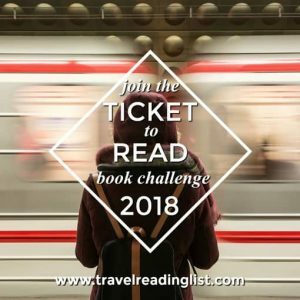 Lanee Lee | Lanee Lee is a Los Angeles based writer who uses her craft to pursue her passions - travel, artisanal food/spirits and maximizing quality of life. Lanee has traveled extensively - always in search of those golden moments of bliss. When she's not gallivanting the globe, she enjoys learning cooking tips from her French boyfriend and emulating Grace Kelly style. You can follow her latest adventures: www.laneelee.com, @wanderlushdiary on twitter.